Chobe Safari Lodge is situated on the banks of the Chobe River, and has been taking guests on game viewing trips along the river since 1963. Chobe Safari Lodge is your gateway to a truly unique African wildlife experience. The lodge is ideally situated for exploration of the surrounding areas. It is only 80km (49.7 miles) from the Victoria Falls, 5km (3.1 miles) from the Kasane International Airport, adjacent to the village of Kasane and situated at the entrance of the world famous Chobe National Park. Enjoy a relaxing sunset cruise on the 'Fish Eagle' or 'Kingfisher' - a double decker boat with bar facilities. The trip offers a unique and exciting African game viewing experience. Daily guided game drives are available into the Park and transfers can also be arranged to luxury tented camps in the wildlife concession areas. The oldest in the area, Chobe Safari Lodge has been taking guests on game viewing trips along the Chobe River since 1963. The legendary 'Chobe Belle' was the first paddleboat of its kind above the Victoria Falls. Today, Chobe Safari Lodge offers the same unique experience with the comforts of a modern Botswana game lodge. 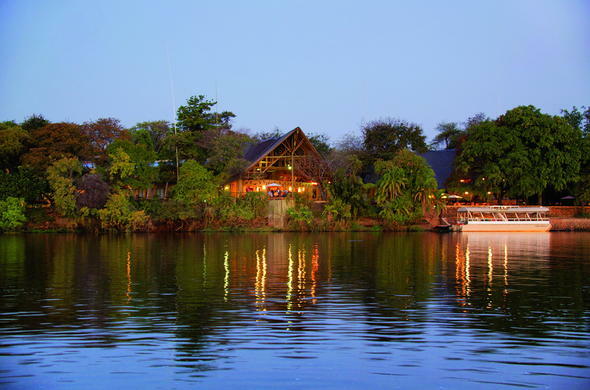 Take a cruise on the Chobe River. Not only for the magnificent sunsets but also to catch a glimpse of animals coming down to the water's edge to drink. The Chobe river system is also home to an incredible diversity of bird species. Cheetahs make chirping sounds, and hiss or spit when angered or threatened and like cats, purr very loudly when content.